Train enthusiasts gathered in Shepherd’s Bush on Sunday morning (28 September) as the newly-built Overground station opened up to passengers for the first time. While there were more staff than passengers in the ticket hall, a group of enthusiasts gathered on Platform 2, many of them having arrived on the first ever train to stop at the station. 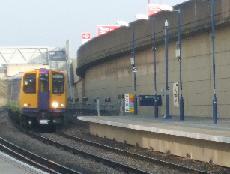 The 0842 from Clapham Junction arrived at precisely 0841 and pulled out again punctually, one minute later. However, the first train going in the opposite direction, the 0913 towards Clapham Junction, was nearly two minutes behind schedule. Don Kennedy from Ealing said he had come especially to be on the very first train. “It’s such an invaluable route through west London,” he said. “I use this line often and the new station adds an extra dimension. If I come from Ealing Broadway (on the Central line), I’ll be able to board the Overground here,” he said. Shepherd’s Bush passengers will be able to use Oyster pay-as-you-go on all London Overground and Southern-operated services between Clapham Junction and Watford Junction. The new Overground station will allow Shepherd's Bush passengers to travel between Willesden Junction and Clapham Junction on the north/south West London Line and also between East Croydon and Watford Junction. Passengers will be able to travel directly to other destinations, such as Hampstead Heath, Camden Road and Milton Keynes, from later this year and early next year. The new Shepherd’s Bush station is fully accessible, with a low height ticket office and a lift on either side of the footbridge to provide step-free access to the platform. Richard Pout of the Gospel Oak to Barking Users’ Group said he was impressed with the building: “It’s very smart and very nice,” he said. “The only thing that’s missing is that there’s not enough shelter for passengers. If there were shelters, it would encourage people to spread down the platform. You’ll need adequate shelters in due course," he said. London Assembly Member, Murad Qureshi and Shepherd’s Bush MP Andy Slaughter were both at the station for the opening. “It’s what we need,” said Qureshi. 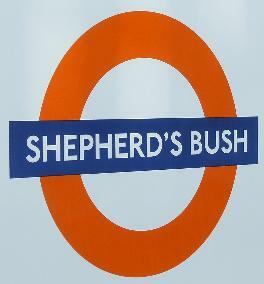 “It will make Shepherd’s Bush a big transport hub and I’m sure it will lead to a reduction of cars into Shepherd’s Bush. I hope all the bus and rail services are going to be coordinated,” he said. The station was built by shopping centre developer Westfield and was nearly ready to open earlier this year. However, safety experts ruled that one of the platforms was 18 inches too narrow. The platform has since been widened. Shepherd’s Bush had a station, known as Uxbridge Road, on the same line more than sixty years ago, but it closed down in 1940.